How do I clean my EZE BREEZE windows? 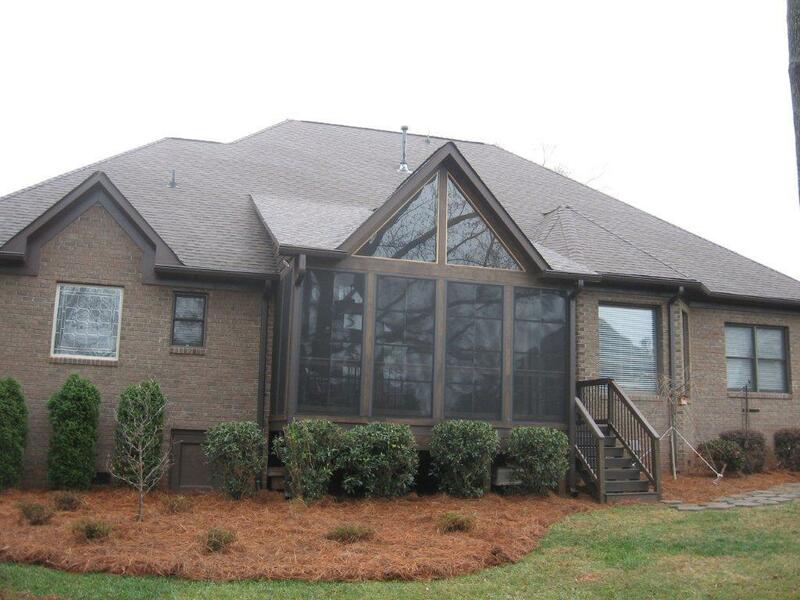 Archadeck of Charlotte and been distributing and installing PGT’s EZE BREEZE porch windows for over 15 years now. One of the most common questions we get is how to clean them? The manufacturer is PGT Industries in Sarasota, Florida does sell a specialty cleaner that is branded specifically for the windows. Short of that, do NOT use Windex or anything containing alcohol as it will void the warranty! We recommend either Woolite, soap and water, or of course if you have access to the actual cleaner. The windows tilt in for easy cleaning and actually are removable if you want to hand wash them as they are very light in weight. Have to clean the pollen off of your screen porch? Not with EZE Breeze Windows! 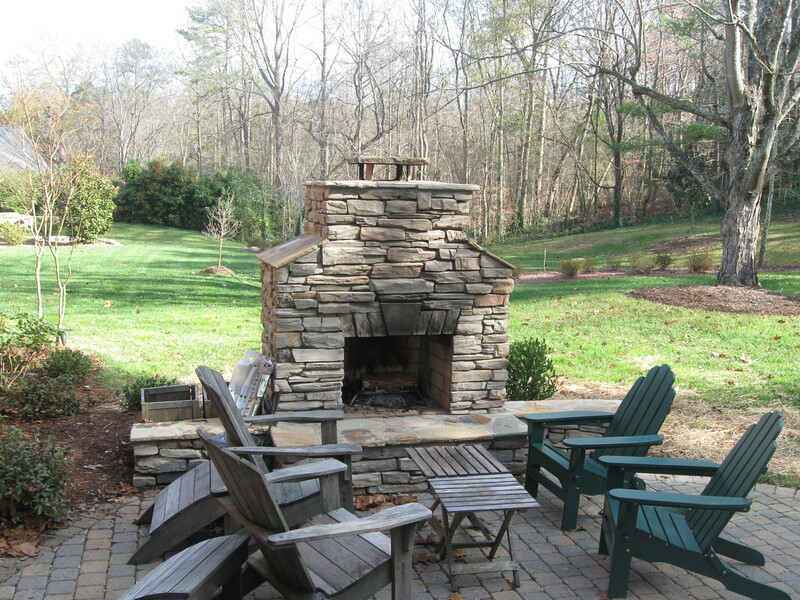 We have turned the calendar to a new year, in North Carolina, spring will be in site in just a couple of months! Each and every year our city of Charlotte gets bombarded with the greenish yellow powder that gets everywhere better known as pollen. If you own a screen porch and like to be outside in the spring, it is nasty to have this powder all over your furniture, dining table, and porch floor. What do people do to remedy this? The cleaning is not fun because you are never quite sure when the pollen will stop and the particles are so fine that they get right through the screen. 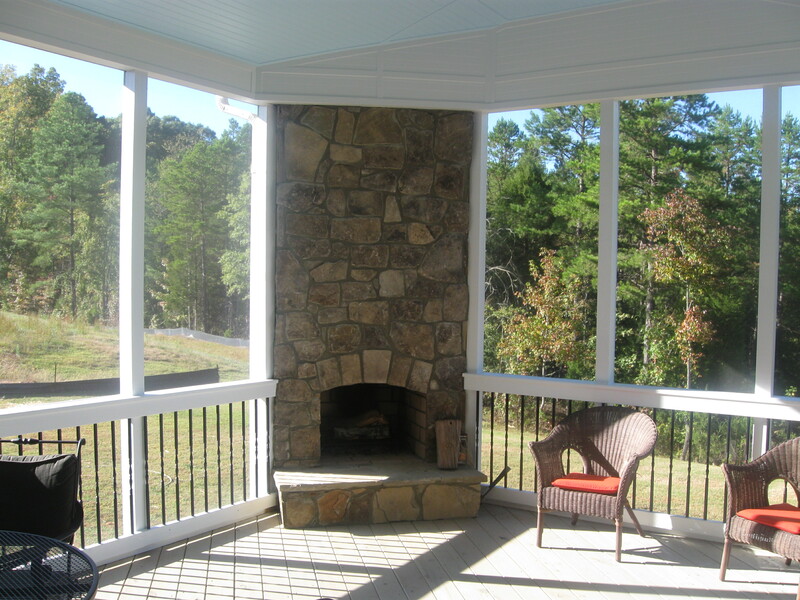 A great solutions is a retractable screen porch window system called EZE Breeze windows made by PGT Industries out of Florida. These are constructed of a sturdy powder-coated aluminum frame that has a lifetime warranty and then with “memory-vinyl” window panes that are both durable and clear. Archadeck of Charlotte has distributed the product for years and it has done nothing but grow in popularity. Whether the home is valued at $250,000 or $2mm, the product is stylish and functional. 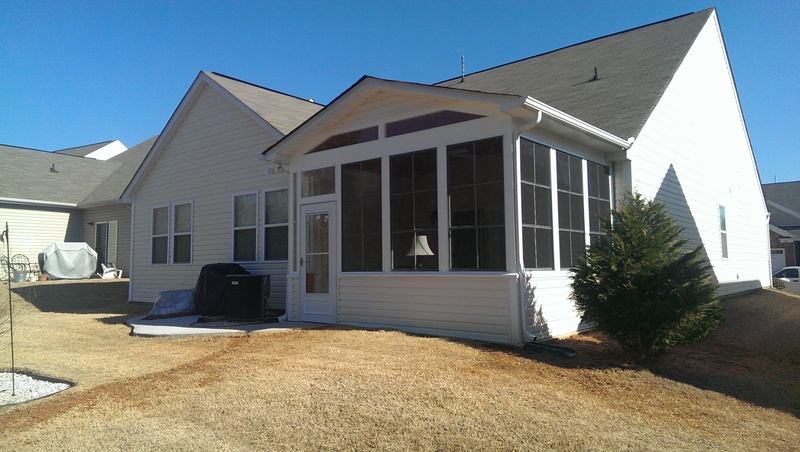 Once you enclose the porch with the EZE Breeze windows, they prevent the pollen from spreading all over your porch. When the pollen season is over, you simply slide the windows up or down and they retract returning your porch to screen room. 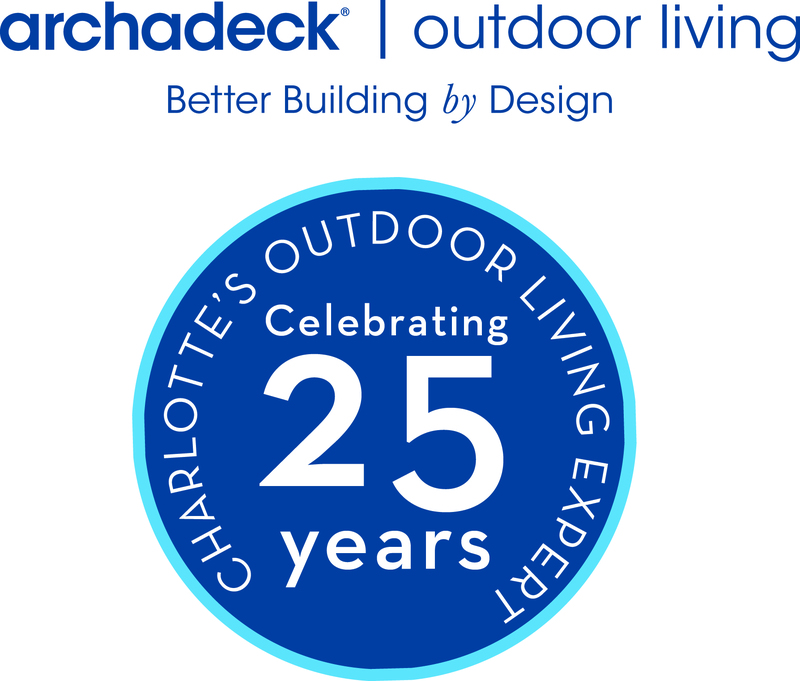 There are great videos on You Tube on the Archadeck of Charlotte channel that really show how the windows operate! Additional benefits to the product include the fact that they keep rain out, dirt out, and can extend your outdoor living season! 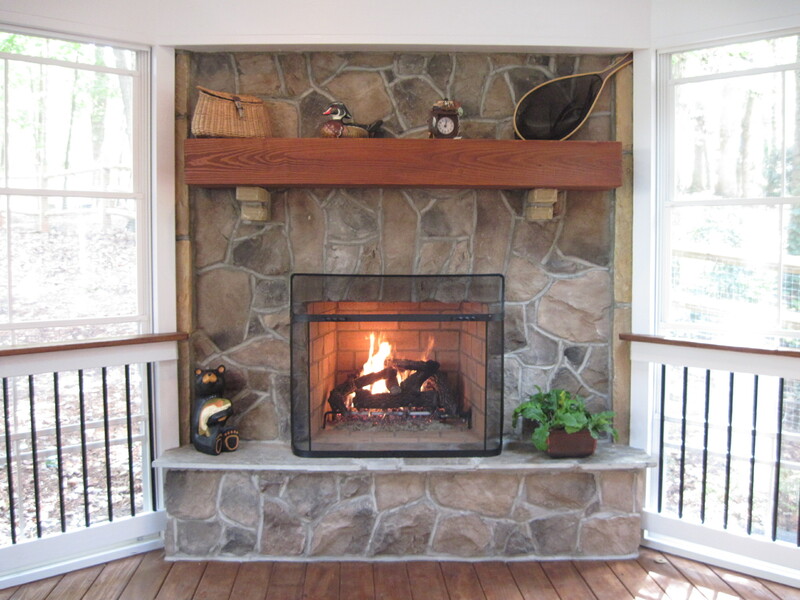 I have personally installed them in my porch and can testify that they have converted our porch from a screen porch to a fully functional outdoor space!